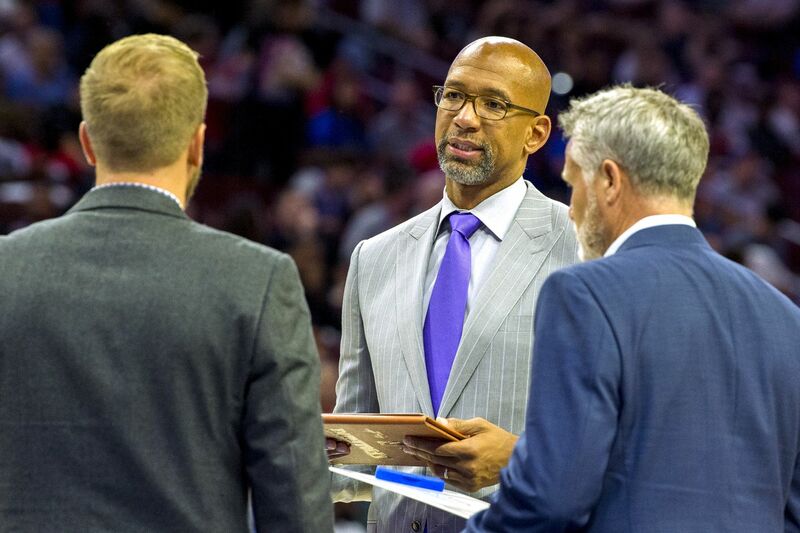 Sixers assistant coach Monty Williams (center) is interviewing for the Los Angeles Lakers coaching job. In the latest Locked on Sixers podcast, Keith Pompey chats with 76ers super fan T Will. They discuss what the 76ers need to do to win Game 3 of the opening-round playoff series against the Brooklyn Nets. They disagree over Kenny Atkinson’s coaching ability. Pompey thinks Atkinson is a great coach, while T Will is not as high on his coaching ability. And they debate over Monty Williams’ importance to the Sixers. Williams is interviewing for the Los Angeles Lakers’ head coaching job. Pompey said he would be a huge loss. Will is not so sure.